…we have a crazy cat lady problem. 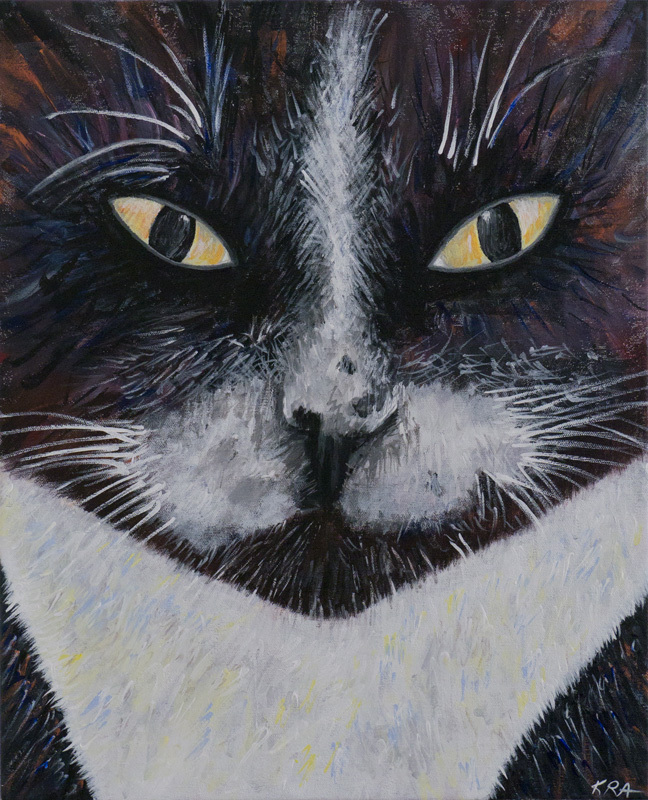 A hankering to challenge my rusty/non-existent representational, non-abstract painting skills naturally resulted in a painting of my cat. I still stand by my refusal to add a “cat” category to this website. It would only encourage me! My cat would like it known that he is thoroughly unimpressed.